drsolly: A big day out. Today, I was busy. I did the 31-cache "Ryhall and back" circuit, but first I did a few Gwash micros (that's the river around here) and some Belmesthorpe Railway caches. I followed the circuit to Stamford, then I diverted and did a few of the Stamford caches that I haven't done yet. Stamford is now all cached out. And then I did half of the "Another Stamford Saunter" before getting back to the "Ryhall and back" circuit (and I picked up a few more on the way). By the time I got back to the car for lunch (3:30),those 31 caches had become 45. So after lunch, I did another ring, the 17-cache "Ryhall Heath and back" circuit. By the time I got back to the car at the end of the day, I had done 68 caches, no DNFs. As I neared the end of the last ring, I saw this. 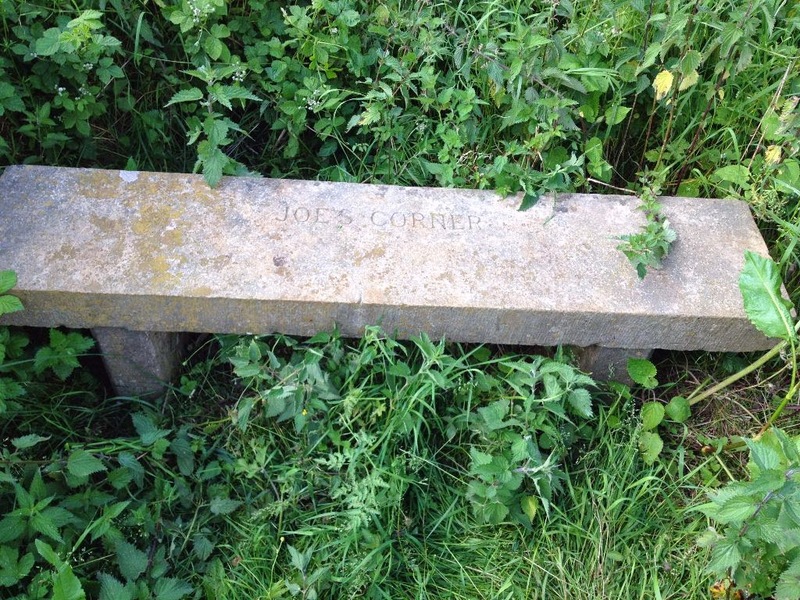 A stone bench, engraved "Joe's corner". There's a story behind that, and I wish I knew what it was. On the way home, I used the heated car seat to try to help my back. I find that a long day on the bike )or on foot) has the biggest effect on my back. Tomorrow I can rest - we're visiting daughter.1.